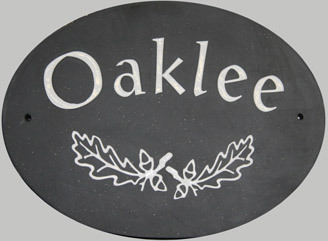 The round slate name plates are normally cut from 12mm slate. 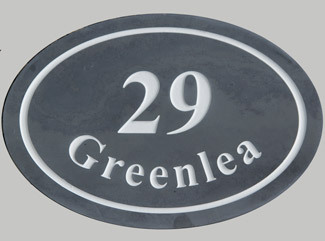 Although more expensive than other slate signs they can look very attractive and are just that little bit different. Although we can drill fixing holes we suggest for the smaller name plates you use one of the many adhesives that there are now available, so as not to detract from the overall design. 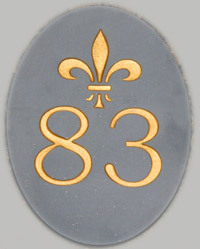 For the round signs we can use one of the celtic borders shown on the right. The backing board can be made in Oak or Iroko. Oak is very beautiful. Iroko is a hard wood which is high in oil and therefore requires less maintenance.